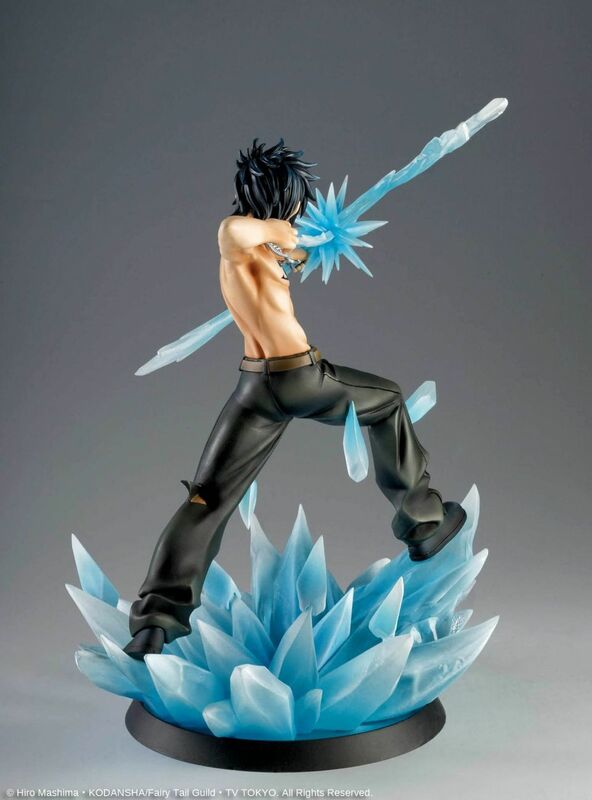 Gray Fullbuster HQF by Tsume, from the Fairy Tail anime. 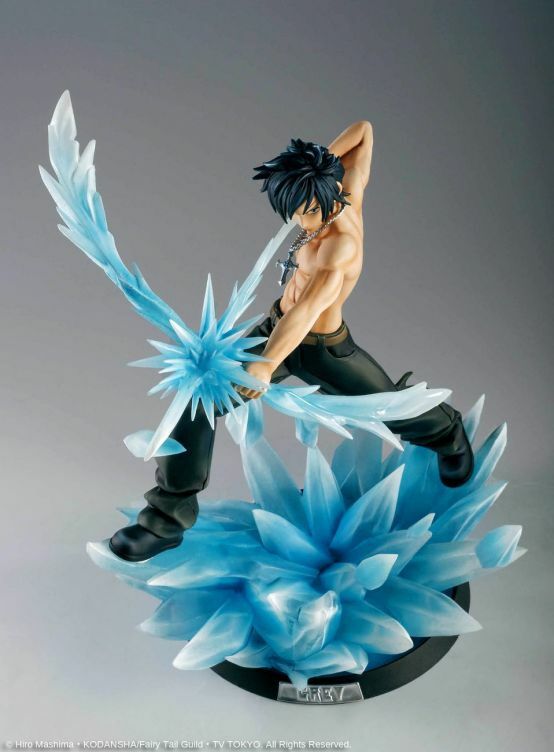 Included one Gray Fullbuster figure, its base in a window box. 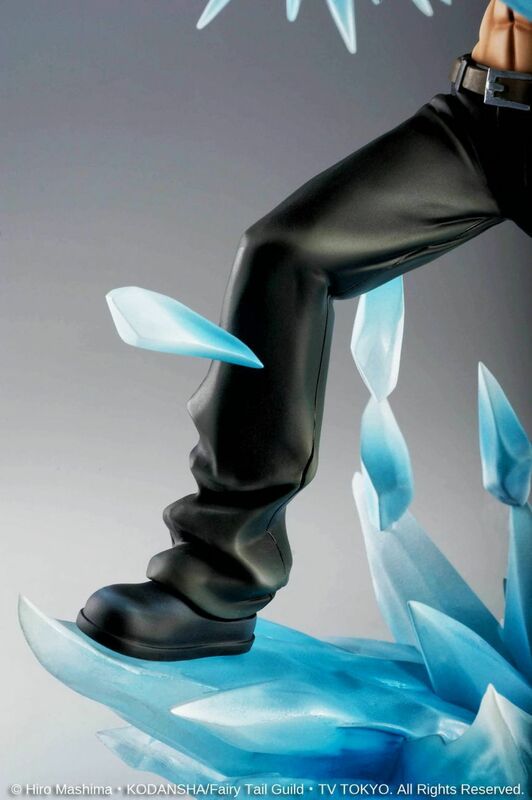 Limited Edition, the 200 first pieces sold on Tsume-art.com will be signed by the artistic team. Final product could vary. 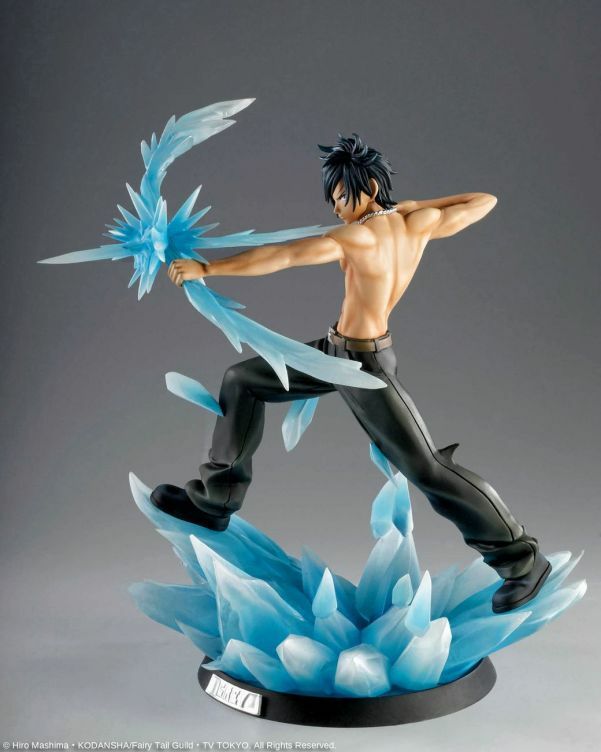 Gray Fullbuster HQF by Tsume is the 4th figure we created from Hiro Mashima’s Fairy Tail. 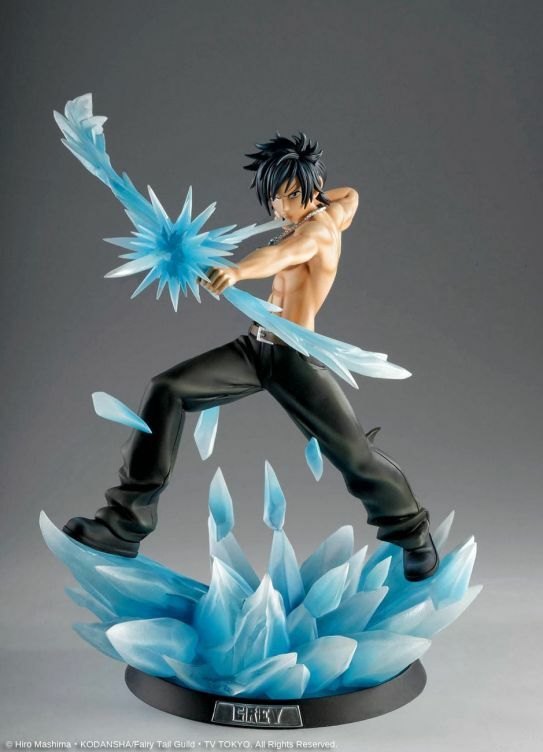 As for our new Street Fighter figures, Gray introduces our new artistic direction for Fairy Tail’s figures and the whole HQF by Tsume collection. 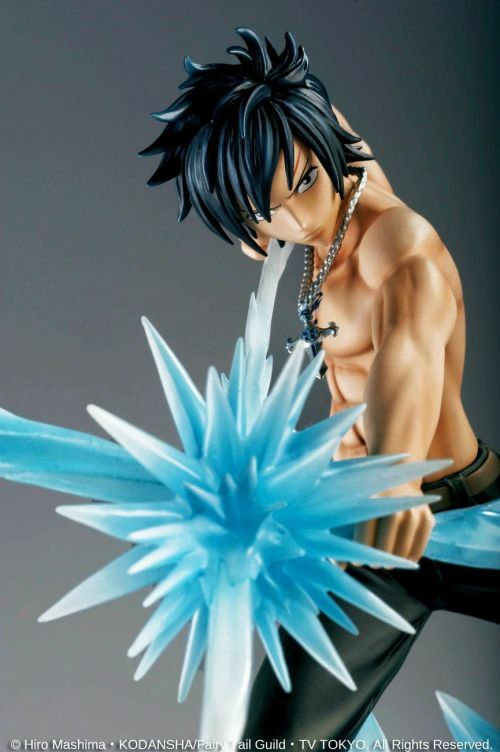 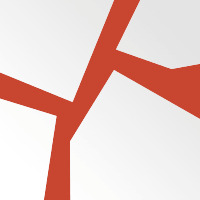 The character is set in motion, launching a Super Freeze Arrow and stands on a clear PVC base figuring the scene where he fights Oración Seis member: Racer. 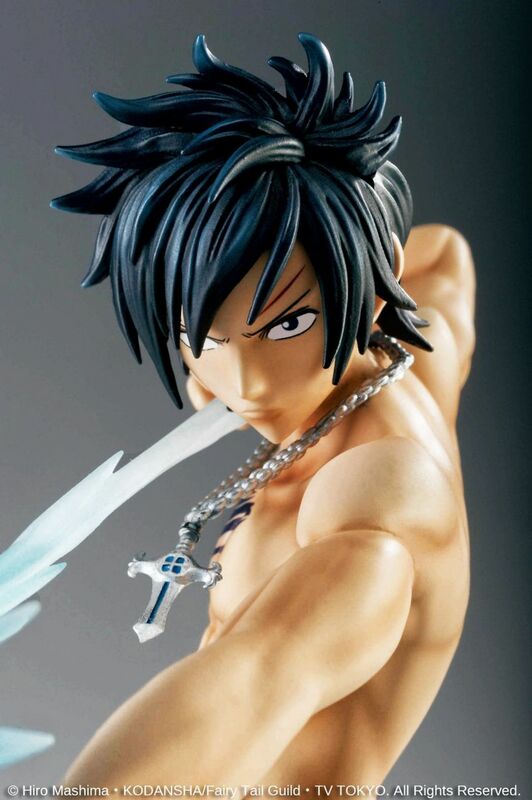 The sculpt is very close to the original design and the figure has lors of details such as the scar on the forehead, the pendant or the Fairy Tail’s guild tattoo… Of course, fan(girl)s will be delighted to see that Lord Gray is bare chested! This figure’s painting presents a lot of subtle gradients and shadows and so is the ice effect on the base. 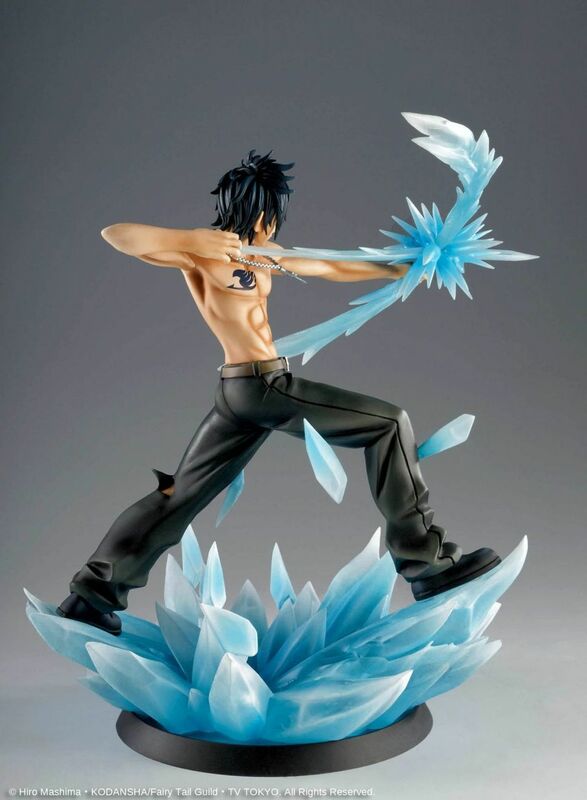 This base that still got our style with the beveled black disk and the silvered nameplate.